Stay in Canary Islands's best hotels! Featuring stylish, air-conditioned rooms with free WiFi, BedΧc Las Palmas is located just 1312 feet from the beach in central Las Palmas. It offers a shared rooftop terrace with views over the... Great location, friendly lovely staff, clean modern big room, tasty food at the hotel cafe.. This luxurious 5-star hotel is on Costa Adeje, overlooking Playa Paraiso Beach. It features a spa area and a heated infinity pool with stunning views of the Atlantic Ocean. Great location, nice sea view, very friendly staff, very wide choices of food, comfortable and clean rooms. Set 492 feet from Las Cucharas Beach, Barceló Teguise Beach – Adults Only is located in Costa Teguise. This adults-only hotel features free WiFi, a buffet restaurant, and wellness center. The Barcelo Teguise is a beautiful hotel with unbelievable amenities. We were welcomed by their warm and friendly staff with a glass of cava, and found our room to be modern and clean. The hotel restaurants and bars offer a great variety of food and beverage with excellent service. The hotel pools and spas were well maintained and offered great relaxation. The surrounding area has lots of pubs and restaurants if want to leave the hotel. It is a very short walk to a sandy beach with swimming. We loved our stay and can't wait to go back. This colonial-style hotel on the Costa Adeje features a luxurious spa and beautiful views of the Atlantic Ocean. It offers 5 swimming pools, surrounded by sun terraces and gardens. The location near the sea and near the airport was perfect. The staff were all excellent. The breakfast buffet was spectacular. Free parking. Bath robes. Amazing views. Well kept grounds. Good restaurant. Room decor. Comfort. Tv in multiple languages. I feel like I got a steal on the room rate. I want to return with my husband. Located on Los Pocillos Beach, the Canarian-style Los Jameos Playa offers outdoor pools surrounded by palm trees and 4 tennis courts. The hotel and staff are excellent. I was a solo guest, the hotel felt very safe. Enjoyed the choice of swimming pools and the beach was opposite. Easy and quick transfer from the airport. Located on the beachfront of Las Canteras Beach in Las Palmas, Reina Isabel has a rooftop pool, a free spa and gym, and a sun terrace overlooking the Atlantic. Free parking and Wi-Fi are offered. Great Breakfast Buffet and amazing spa and views! Loved It! Iberostar Sábila - Adults Only is located on Fañabe Beach on Tenerife’s Costa Adeje. It has large gardens. Free WiFi is offered throughout the property. I LOVED everything about this place!! The staff was so much fun and friendly! We had the all inclusive package so the drinks and food were endless and all tasty!! The rooms we comfortable, clean and technologically advanced! I kept finding out different things about the room everyday. The shower?! To die for! I need that in my NYC apartment! I would definitely come again and I’ve already recommended it to people I know! Located in Arucas, Hotel Emblemático Arucas provides air-conditioned rooms with free WiFi. A terrace, a solarium and a jacuzzi are available for guests to enjoy. Beautiful house in great location. Hotel Boutique The Cathedral (Adults Only) is located in the historical center of Las Palmas de Gran Canaria, in a building dating back to 1890, it is located 755 feet from Las Palmas Cathedral and 25... Great location and the hotel owner was very helpful with suggestions to make the most of our trip. Located in Adeje in the south of Tenerife, Royal Hideaway Corales Beach - Adults Only by Barceló Hotel Group features exclusive facilities for adults only, such as 3 pools (2 adults only),... Food selection was very good. Attentive staff. Offering an outdoor pool, children’s pool and sun terrace, Barceló Corralejo Sands is located in central Corralejo, 1969 feet from Corralejo Beach. The property offers 2 on-site restaurants and a spa.... The buffet was excellent, with a wide range of options, and it switched every day. Located in Icod de los Vinos, Hotel Drago San Antonio features a terrace, shared lounge and free WiFi. This 3-star hotel offers a 24-hour front desk and a shared kitchen. The hotel and room were beautiful and spotlessly clean. Breakfast very good. Featuring free WiFi throughout the property, Wavia Hotel - Adults only offers accommodations in Las Palmas de Gran Canaria, 0.6 mi from Parque de Santa Catalina. Modern facility, great location, great staff. Offering an outdoor pool and views of the sea, Las Terrazas de Abama is located within the Abama Golf Course, and features stunning views of La Gomera and the Teide Volcano. Location was excellent! New facilities. Family friendly. Located 1804 feet from the beach in Las Palmas de Gran Canaria, Casa Mozart features a shared sunroof terrace and a garden. This boutique hotel offers air-conditioned rooms with free WiFi. Beautiful facility, with modern beds and showers, temperature control in rooms. Aqua Suites is a boutique hotel in Puerto del Carmen. This property features a swimming pool and hot tub. It is 10 walking minutes away from the beach. 1) The room was clean and very big. 2) The bed was the most comfortable one I ever been on. Offering large rooms with balconies, the adults-only Bohemia Suites & Spa is 656 feet from Playa del Inglés Beach. The place as a whole, the staff, the room, the view..
Offering accommodations with large balconies and ocean views, Radisson Blu Resort Gran Canaria features 2 outdoor swimming pools, one of which is a saltwater pool, and 2 children's pools. The facility more than exceeded our expectations. This 5-star hotel complex is located 0.6 mi from La Caleta de Adeje Beach, in south-west Tenerife. It offers villas with furnished terraces and views of the Atlantic Ocean and the island of La Gomera.... Excellent room, beautiful territory, delicious breakfast. Very professional staff. This adults-only oceanfront complex offers a personalized butler service in all rooms. The outdoor pool has Balinese beds and hydromassage loungers. The first thing we were told on arrival: "You in paradise already. No worry. Only enjoy! H10 Ocean Dreams Hotel Boutique - Adults Only is located in one of the most tranquil areas of the city of Corralejo, on the island of Fuerteventura. The property in general is fantastic. Renovated and new, the swimming pool is great. 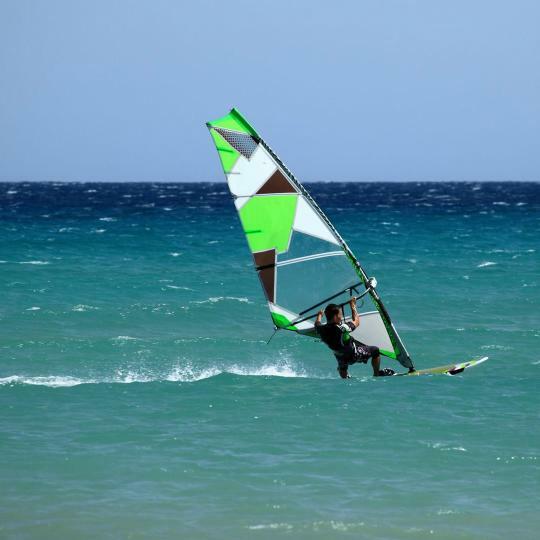 With beautiful beaches, year-round sunshine and strong winds, Fuerteventura is a windsurfer's paradise. 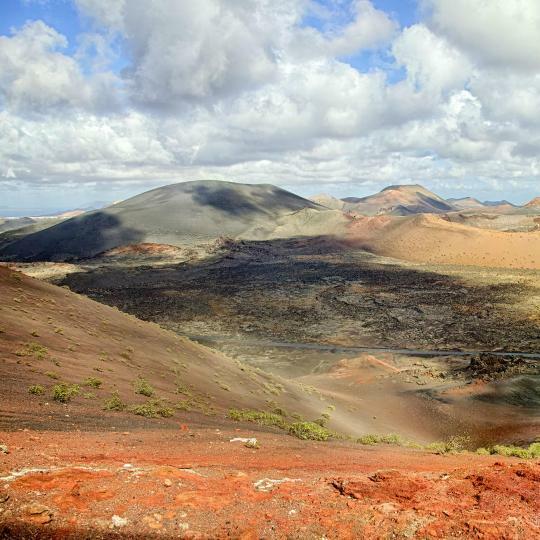 Take in Timanfaya National Park's volcanic landscape from the park's mountain-top restaurant, which serves meat and fish roasted using geothermal heat. 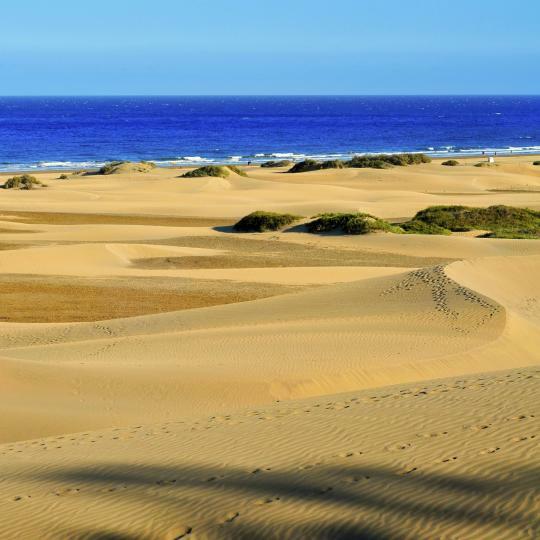 The proximity to the African continent is palpable in this spectacular dune complex in the south of Gran Canaria. With the backdrop of the Jandía mountains, this deserted expanse of sand offers a secluded beach experience accessible only by 4x4. 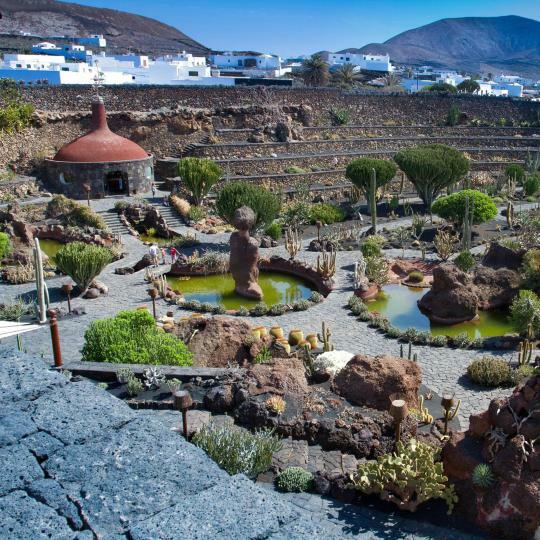 Designed by Cesar Manrique, this garden combines the ash grey of volcanic rock with the vivid green of the cacti. 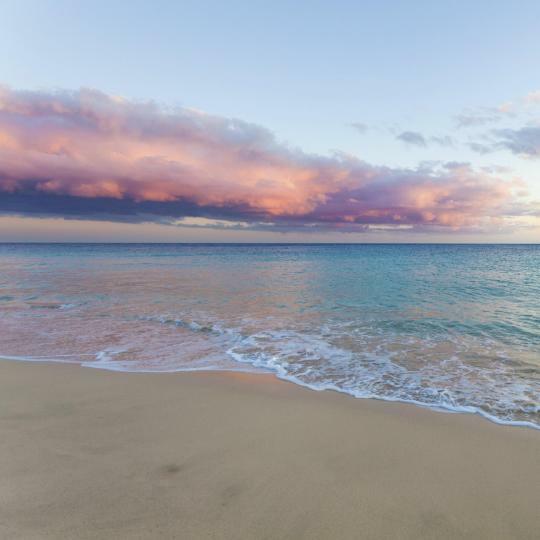 This long sandy beach, popular among locals and tourists alike, offers plenty of dining and entertainment options along the promenade. 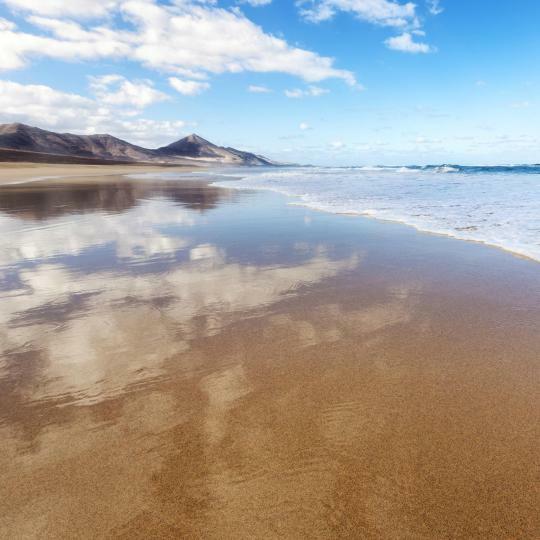 If you feel like soaking up the sun as nature intended, Fuerteventura's coastline offers many opportunities for naturist holidaymakers. Puerto Rico is the warmest and sunniest place in Canary Islands. Even in december it feels like summer (if you are from cold scandinavia). We have been several years in Play del Inges and Maspalomas, but Puerto Rico is the best. Just remember that just after the full moon weather can be poor for some days. This years the full moon was in 25th of december and just after that came sirocco/ sandstorm for couple of days. Go to the farmers market and buy local vegetables. Carrots are incredible sweet ! Hotels tell where the farmers market are each day. In Puerto Rico downtown, in Arguineguin (big one !) , in Mogan and so on. And every weekday there is always one in San Fernando. Market in Teror is also worth visiting. Lots of steps in Puerto Rico, but that is what a stunning view must cost. Rent a car or use taxi. The best car rental was Inauto +0034 928 56 01 48, they also have navigators. Inauto is really cheaper and the cars new and the staff very friendly and helpful. We rented an automatic car for 10 days, was 350 € only and it was Christmas-time ! I really have travelled and lived in many countries on the planet, but Fuerteventura is special. The view from the pale yellow Sandy Beach overlooking the unofficial 8th Canary Island, Isla de Lobos, across at Lanzarote, with the sparkling clear blue/green sea on Christmas Morning with nobody around, is a view that no picture video or words can describe. Fuerteventura is spectacular because you can actually see how our planet evolved from Volcano’s to what we live on today. Every child should be brought here because on Fuerteventura you get everything. The examples of how the planet was formed in a geographical sense and also the history of mankind has evolved. 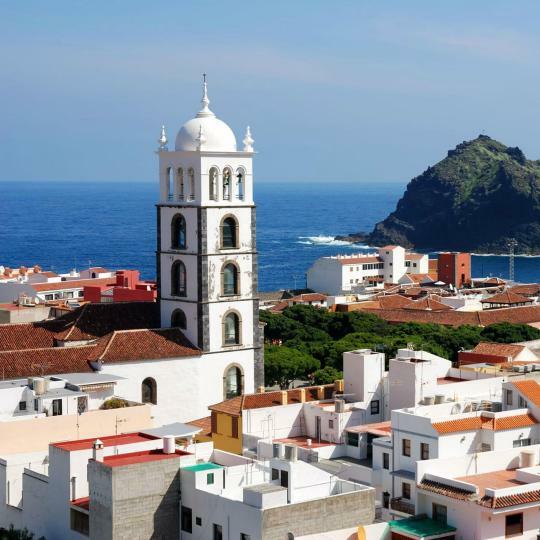 The old Spanish Colonial Villages, the Historic Capitol of all the Canary Islands is Betancuria here just 30 km south of Corralejco, beautifully preserved, its quaint colonial streets, the palm trees with the surrounding volcano’s explains Geography and History in One or Two Weeks. Great choice of bars and restaurants to suit all tastes however nightlife is more low key compared to other Canary Islands so don't be expecting much nightclubbing! I would recommend Don Rafaelo restaurant as there was plenty of choice and staff were excellent. The Blarney Stone bar in the old town had a great lively atmosphere with live music most nights, the craic was mighty. Taxis are very cheap also. Santa Cruz is a bustling, European style city, that feels very safe and family friendly (it's one of the few cities i've visited with no seedy/dodgy characters hanging around, even around the bus station). The spread of the city is compact so its great to explore on foot as you can cover a lot easily. Its a great town for shopping - there is quite a big shopping zone in and around the streets backing up from the port as well as some department stores down by the bus station. There are several good museums and galleries. The district of La Noria down in the old part of town has plenty of bars and tapas places. Other places worth a mention are Garcia Sanabria park, the auditorium on the seafront, the palmetum. If you are looking for wild nightlife this is probably not the place for you, but the tram takes you up to the old city of La Laguna - which is supposed to have a buzzier nightlife - in about 30 minutes. If you want the beach, the golden sandy Teresitas beach is around 20 mins bus ride away. If you want to see an aspect of the Canary islands other than the tourist resorts, Santa Cruz is well worth a visit. Good for a beach holiday. However, entire P.d.I. 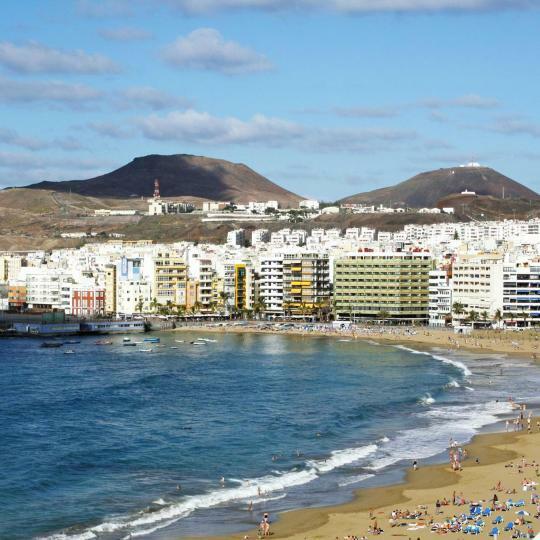 and Maspalomas area was probably developed earlier and looks a little bit older compared to similar Adeje/Playa de las Americas region on neighbouring Teneriffe island. For me this Teneriffe area remains my favourite spot when opting for Canary islands. It has more faciltities (Siam water park, Loro Park, etc.). Playa de Ingles / Maspalomas has less in that regard. Beautiful town - home of my ancestors! Beautiful town - home of my ancestors! Biggest challenge is siesta (1:30 - 4:30 PM) when just about everything closes and everyone disappears ... this is the best time of day for tourists to see and do things, but they cannot because everything is closed. This is not a problem with Santa Brigida, but all of the Canary Islands we visited. It's their culture, but it is in conflict with a tourist who wants to see and do. For tourists who want to go to the beach, it is no problem, but when visiting the towns, it is. We have been visiting el cotillo for many years. We have been visiting el cotillo for many years. It is our favourite spot in the Canary Islands. Unspoiled, great laid back ambience, stunning beaches, and good resteraunt s. Stress free winter holiday. I've been to all Canary Islands and was here many years ago and can honestly say it's the worst island of the lot! It's very dirty and run down, so many places closed down or abandoned. Unless you want to stay out late and drink or do a few water sports there is little or nothing to do! A lot of apartments are in need of renovations even a lick of paint! This whole island seems to be in need of renovation as all the other islands were done up in later years and this one hasn't! I cut my holiday here short cos I found it so bad and I definitely won't be back! 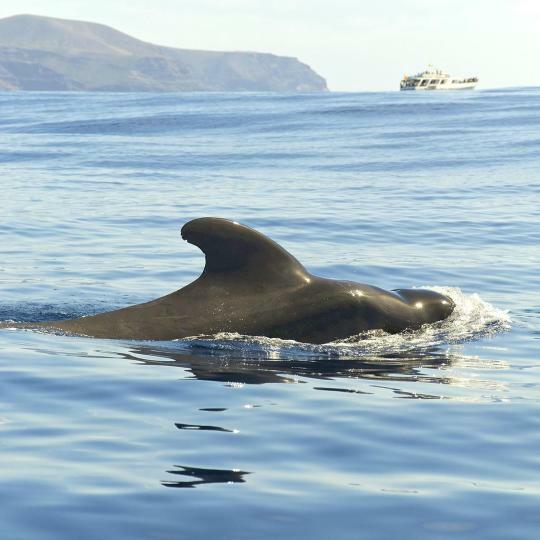 There are many great museums in Santa Cruz, the Museum of Natural Sciences is a must for families, with a ton of information about flora, fauna, and historical facts of the Canary Islands. The transportation around the city is fantastic and there are options for an unlimited day pass or a Bono for a specific number of rides. A day trip to the beautiful beaches in San Andrés (about 15 minutes north by bus) is also a good adventure. This place is in a great location in Costa Teguise, with many restaurants and shops around. The hotel has nice staff, is clean, has a nice pool, free parking, great buffet breakfast, good wifi and the use of safe is free of charge. Booked in the last minute (maybe 2 hours before arriving there) and they had my bedroom ready before my scheduled arrival time - I was 3 hours earlier! It was my first time in the Canary Islands and I really loved the experience. The hotel added a little plus into it and definetely I'll come back. Beautiful old building and room!! Nice staff :) We loved being away from the mass tourism areas. 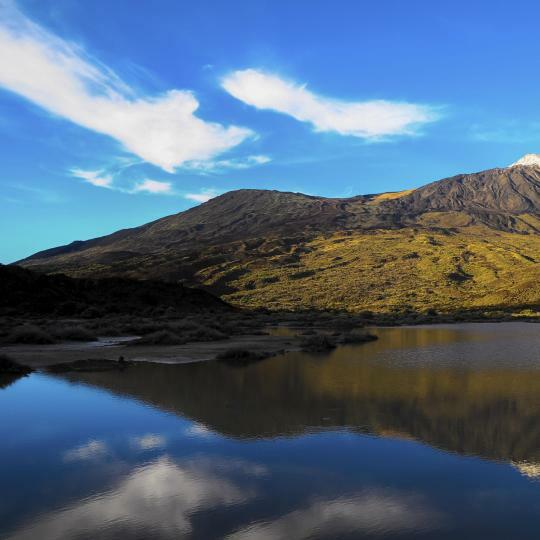 Good location for discovering the island and it’s natural and historical sites. We loved Jaime at the restaurant. Poor guy is alone at the restaurant at night...you’ll have to wait. Try the wines from the Canary Islands!! The owner Jose is really kind and helpful. He made sure everything was alright. The room was clean. He even suggested a really great restaurant for typical Canary islands cuisine. very homely, relaxed -with all facilities necessary for an economical stay in the capital of the canary islands. We loved everything in this hotel. We have been coming to this hotel for the last 5 years. It is located few miles to Maspalomas beach, playa del Ingles and San Agustin. The staff are friendly and accommodating. We feel at home staying in this hotel. Great location (best in Taurito area), perfect views, lots of facilities within the hotel, very good and differenciated food, clean, good for families, quiet surrondings, vey nice staff apart from reception, interesting evening animation. Ease of movement within the hotel. The excellent staff, From the moment we arrived until we left, we were treated with respect and friendliness. especially from the staff that were still there after our stay 2 years ago. The hotel was near play del ingle, maybe a 5 minute walk. The breakfast was excellent a wide variety of choices. There are many restaurants right next to the hotel. Beautiful hotel with the most welcoming staff. Our room was incredible. We were so sad to leave. Nice location, nice food and a lot of facilities including hot pool. Very helpful friendly staff. Excellent food. Really friendly and helpful staffs, perfect!